Home New York Giants Should The New York Giants Take A QB In 2019 NFL Draft? There’s an argument to be made that the New York Giants continuing to lose might ultimately be a positive thing when considering the 2019 NFL Draft. The team with the least wins, of course, holds the No.1 pick in the draft, and the Giants might be in a better place given their current 1-7 record and the state of the team. Should the New York Giants use their 2019 draft pick on a quarterback? Moving forward, the front office might contemplate selecting a quarterback in the first-round of the draft, ideally Oregon’s Justin Herbert. But, my thoughts might be to try and trade back to collect assets for 2020, a quarterback heavy crop, that will put the Giants in a better place down the road. Players like Alabama’s Tua Tagovailoa or Georgia’s Jake Fromm will lead the prospect list for passers. The Giants will undoubtedly have their pick of the lot, and to be quite frank, it might be worth waiting. Next year’s draft is looking to be thin at quarterback and the Giants are desperately in need of offensive line support. 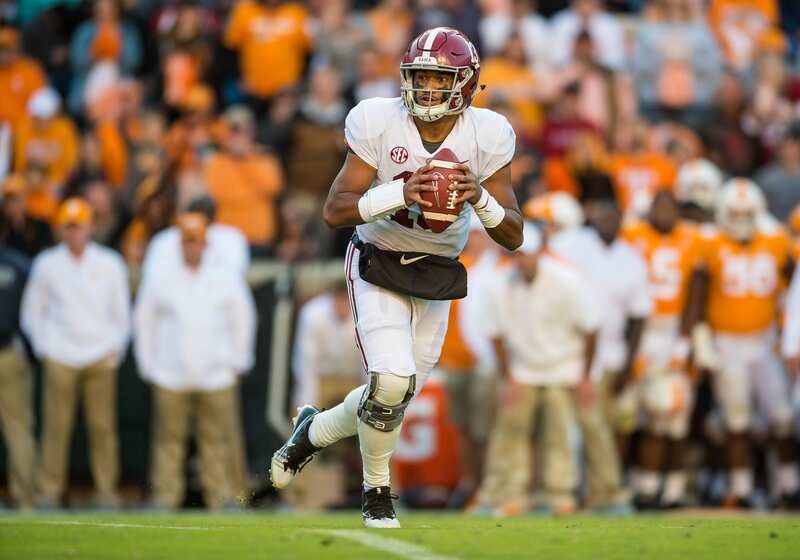 The thought of the dynamic Tua on the Giants makes even the most cynical of fans optimistic. His ability to extent plays with his legs and throw with immense accuracy is unparalleled, and the wait might be worth it as he’s a player that can start right away and doesn’t require much development. With that being said, what do you think? Should the Giants lose out and wait until 2020 to grab their quarterback? Or try and fix it as soon as possible? I like Will Grier out of WVU. I think this kid has that “IT” factor. Great leader, players will follow him. One thing you cant measure in a player is Heart. I’d also throw in Jacob Eason into those top QB’s for 2020. I expect him to start next year for Wash and then head out.